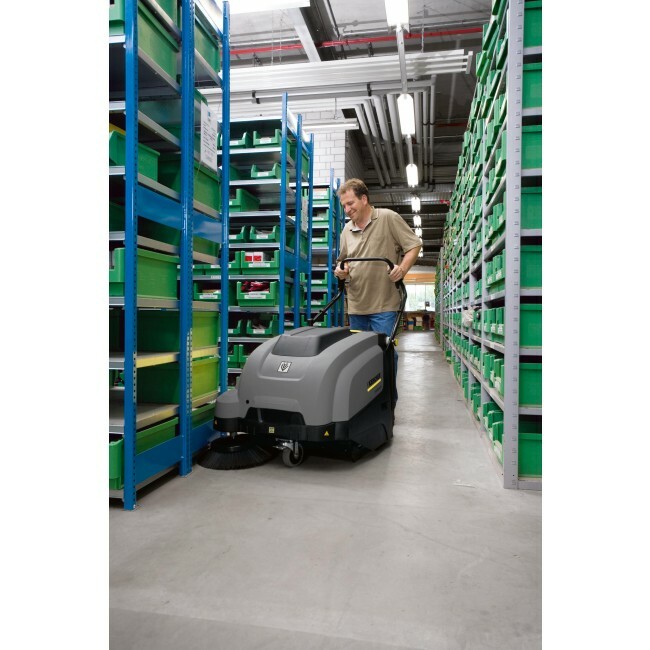 A user-friendly walk-behind vacuum sweeper with 24V battery power and traction drive. Choose between low maintenance batteries (order no 9.621-551.0) and maintenance-free batteries (order no 1.049-210.0). Waste container with recessed grips - easy to remove and empty . Made of tough polyester for durability. 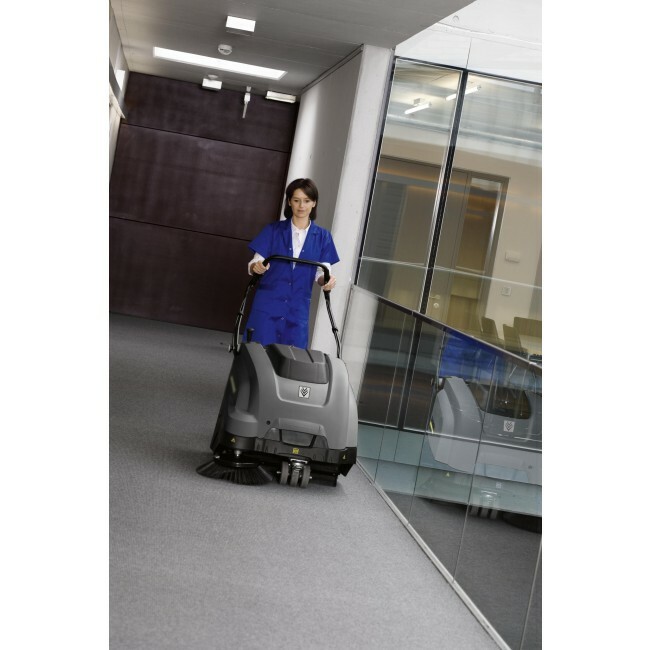 1.8 m² filter area for long work intervals. 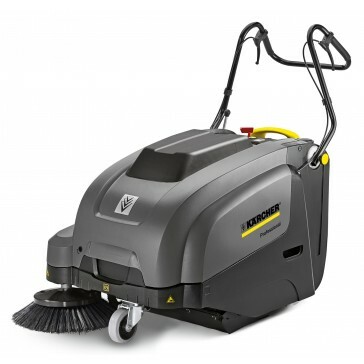 Mechanical filter cleaning system with ergonomic handle.